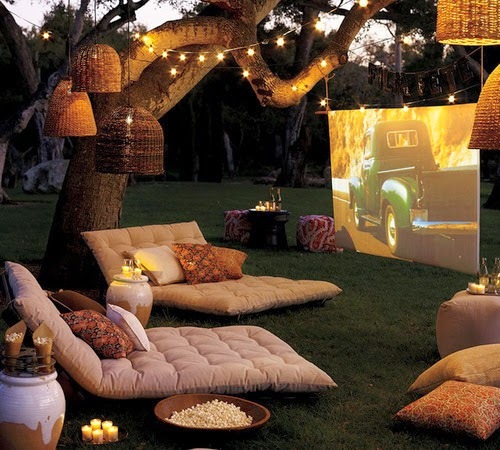 Home Uncategories We Love: Home Cinemas! 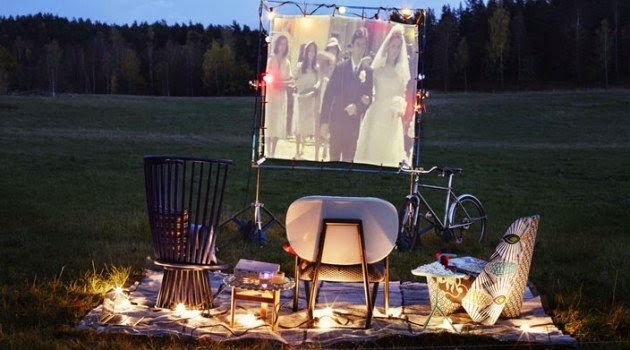 We are absolutely Loving this trend this summer; A home Outdoor Cinema! 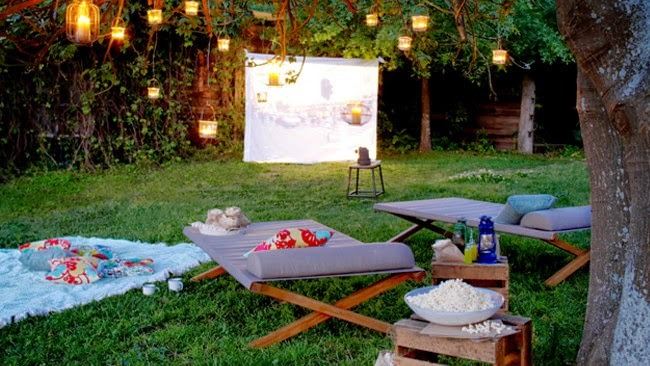 Perfect for the summer, Cozy down into a comfy bean bag, grab a beer or a glass of wine, and enjoy the great outdoors in your garden! 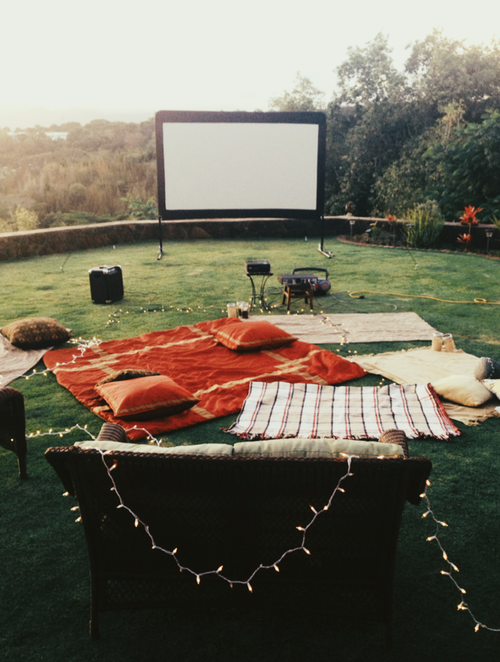 Simple and easy to do, this set up can be a simple quick and easy way to enjoy your summer nights with your friends and family, check out some of these beautiful set ups, and look at our tips below to make your own home outdoor cinema! 1 - A projector! Technology is getting cheaper and cheaper simply buy a projector and connect to your Laptop/Computer and now even Mobile Projectors, amazing for streaming Netflix, and super portable! 3- A Duvet or Throw - Perfect for when the night gets a tad bit cooler! 6- A Projector screen - Now don't be splashing out on a fancy screen! Try just pinning up a white sheet on your fence, or even very cheap white roller blinds for a more sleek effect! Brilliant! 7 - And Finally some snacks and treats! our mission is to provide high quality solar lighting and other energy efficient products at the lowest possible prices! https://www.powerbee.co.uk/solar-lights/solar-fairy-lights.html light your world !